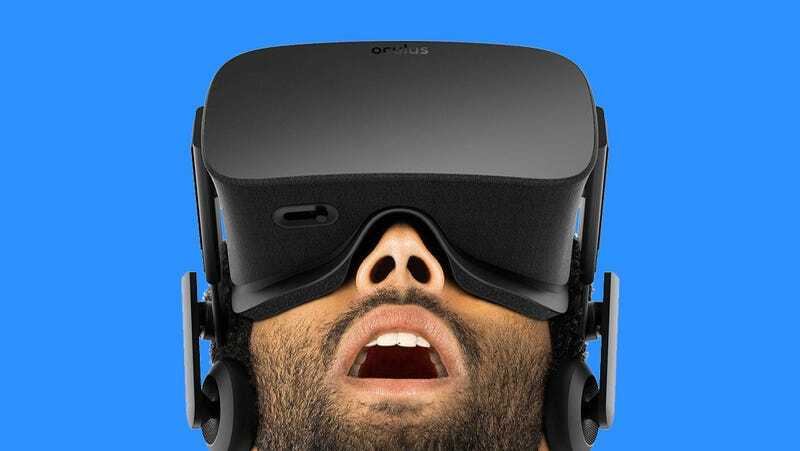 The wait is over: Starting 11am EST Wednesday morning, you can preorder an Oculus Rift of your own. The company just made the announcement on its blog. No word yet on pricing or expected delivery date. Industry analysts—even Oculus founder Palmer Luckey himself—know that most of the folks willing to spend the money on VR will be gamers and tech enthusiasts for the next couple years. In addition to the headset, buying a PC capable of running Rift’s VR software could easily set you back a grand on its own. Gaming is the most logical arena for VR to first conquer anyways, which is why Rift comes bundled with a video game, Lucky’s Tale, a cartoony platformer, as well as another one for free with preorders: a space dogfighting game called EVE: Valkyrie. Other tech companies, besides the Facebook-owned Oculus, are looking to enter the virtual-and-augmented reality video game space, too. Microsoft’s HoloLens has introduced gamers to holograms: Put on the headset and zap flying holographic baddies that look like they’re bursting through the wall and swoop around your living room. While VR will most likely find its footing in gaming, it’s also expected to completely change the faces of several industries, from education to engineering to Hollywood. That’s why other tech giants like Sony and HTC are expected to roll out their own VR headsets sometime this year. As far as Oculus Rift goes, Luckey is scheduled to do an AMA on Reddit at 9pm EST Wednesday, and hopefully we’ll learn more then.